A few readers have asked me to post some more pictures from our trip to Kenya. I would be more than happy to! Enjoy! There’s something I just love about trains, particularly old trains. As a child, we used to take the train from Nairobi to Mombasa at the coast of Kenya during the school holidays. The trains were old and rickety with small cabins that could fit four people. We would congregate at the train station in the heart of downtown Nairobi in the late evening in anticipation of an all-night journey to the vibrant coast of Kenya, it’s white beaches drenched by the warm waters of the Indian Ocean. As we drifted off to sleep lulled by the chaka-chaka sound of the old train, the night was pitch black and the stars crystal clear. The morning greeted us with salty, humid coastal air. We would spend most days swimming or running along the beach, our feet entangled in dark green seaweed. Each night as we slept, I loved the rhythmic sound of the waves approaching and receding from the beach. As we headed back to Nairobi on our favorite rickety train, we eagerly looked forward to the next year when we would be back to enjoy the lure of the majestic Indian Ocean. 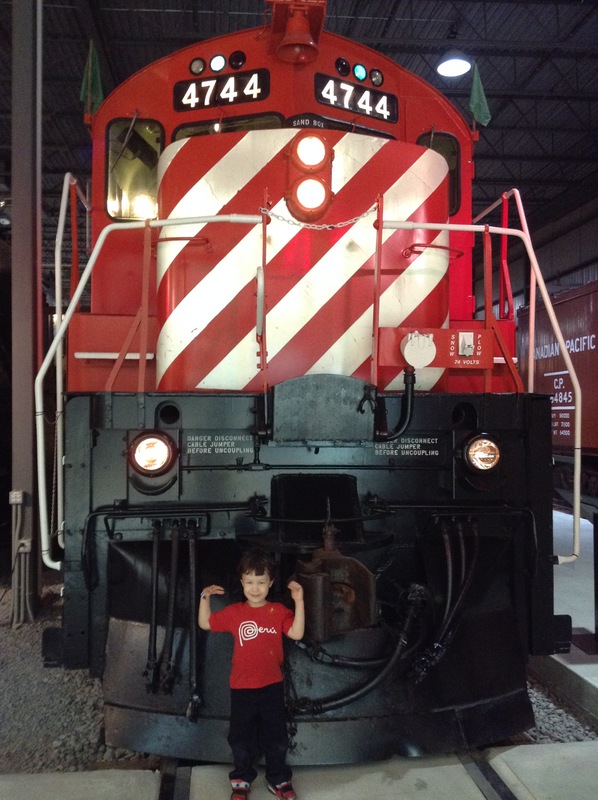 My latest experience of trains was through the eyes of my 4 year old son who spent the afternoon with his daddy, uncle and cousin on a ‘boy’s day out’ at the Exporail train museum located south of Montréal. The museum has plenty of large trains to explore, model train set-ups with the finest level of detail and of course, train rides! It’s been years since I have been back to the coast of Kenya. I will forever cherish the memories of the old train-rides shuttling back and forth between Nairobi and Mombasa in my homeland Kenya.